Hide A Heart is the quintessential example of my penchant for making magic. During the 2013 Holiday Season, I’m dedicating several Hide A Heart blog posts to share my penchant for magic with you! Surprises are a good thing! 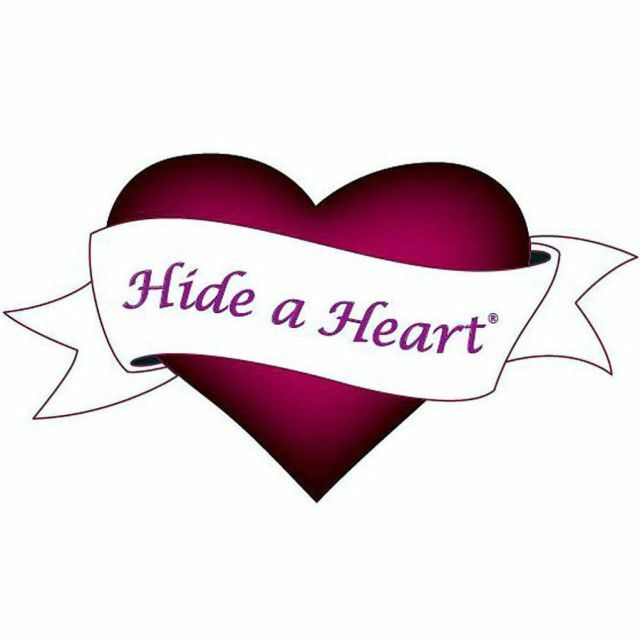 When I sent Michelle the sample, I didn’t realise she would take the time to write a blog post about her Hide A Heart experience. I invite you to visit her wonderful post on the fabulous blog at http://www.virginiaplantation.wordpress.com and leave a comment. I happen to know she would LOVE to hear from you too. “Brett and I have been married for 26 years. At the beginning of our marriage, Brett was still in the Navy. So there were days, weeks and months that I would go without seeing him. It would be letters in the mail that would surprise me and make me smile. After so many years of marriage, we are still very close and consider each other our best friend. 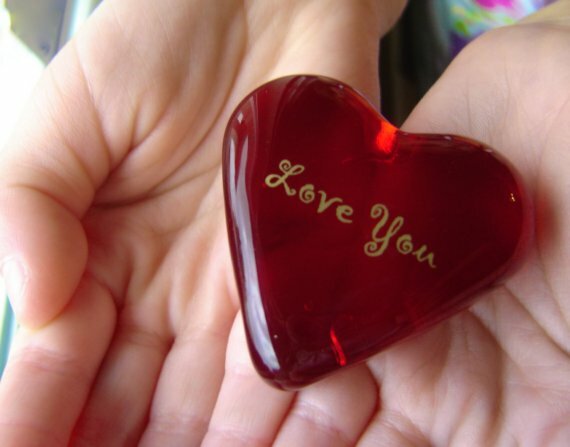 We say “I love you” every day and several times a day. So I wasn’t sure if this would make that much of a difference to us. But I am always willing to try. So I hid it first in his clothing drawer. As I was brushing my teeth a few minutes later, I looked up in the mirror to see Brett standing by his drawer with a big smile on his face and his hands on his hips. Through the toothpaste dripping down my face, I tried to smile back. And so it began. Over the next week, we have taken turns hiding it. After Brett found it in his drawer, I found it under a second pillow on my bed as I was going to lie down for the night. I then hid it in his car for the next morning. I would find it the next day in the dish I place my car keys in as I was going to work. I then hid it beside his jar of honey he has each morning in the cabinet. Brett then hid it in my car flip tray where I keep the garage door opener for the next morning. Then I hid it in the refrigerator for him to find the next morning. We even carried it with us on our wonderful weekend in Orange and Montpelier. Brett would find it in the suitcase in a small pocket where I knew he would go. As we were about to leave, Brett even turned to me and asked if I remembered to pick up our heart. The heart would also travel with us to Belle Grove for our last public hearing. On Tuesday morning, Brett would pull on his jacket to find it in his pocket. But you know it wasn’t just the game of hiding and seeking this heart. It was the message that it gave us. The message that for just one moment, we stopped and realized that the other really loved us. That heart would put a smile on our faces for the day as well. It was just a wonderful warm feeling to pick it up and think about each other. So I want to thank our friends at Hide A Heart! You have shown us that even those of us who say “I Love You” every day still can find other non-verbal ways of showing how much we really care about each other. We will be carrying this wonderful product at Belle Grove and will be having it available for those special couples who will start their wonderful lives together at Belle Grove. Thank you Michelle and Brett! Since we started the blog and Facebook Fan page and started linking with others, we have had some really great people come to us with some really great ideas. We have also received samples of items to offer to our guest. It is a great way for us to see the items and to help us decide whether to offer them or not. Recently we received a sample item for our consideration. Little did we know how much fun this sample would be. Betty needs to find the love note someone hid for her!